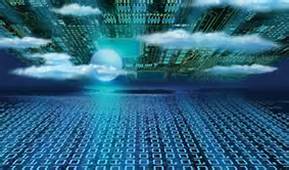 Cloud computing and virtualization are two approaches to make more efficient use of hardware. The basic principle behind the cloud, which is similar to the old concept of on-demand computing, is that computing resources can be turned into products and delivered over the Internet. A company or individual can then use these resources on a metered basis, which is paying for processing power and storage consumption. For many companies, utilizing cloud services may eventually shrink the need for your IT support staff as your cloud provider would manage and support your infrastructure. Virtualization technology allows you to take physical hardware and split it up into multiple different services or applications all running simultaneously on one system. This allows organizations to consolidate many servers on a single hardware component saving them a ton of money. There are many different forms of virtualization from hardware virtualization to storage to software. The options are endless and more and more companies are creating specialized services that continue to enhance the abilities you have available. With the advent of virtualization and cloud computing comes less of a need for human IT staffing as more end users will leverage the internet and more automation will be possible and in fact we are already at that point. Currently we are nearing a revolution in technology right before our very eyes and as an IT professional myself I have embraced the fact that soon everything will be done offsite and virtually which means you have to educate and train yourself on the new technology or you will be left behind. Open source virtualization and cloud computing is also helping to spearhead the affordability of the cloud, companies such as RackSpace and Citrix and of course Red Hat Linux all have their own flavors of open source virtualization technology that for the most part is free you may only need to pay for a support subscription but the downloading and installation of the cloud operating system is totally free. This may put pressure on market leader VMware to modify their virtualization costs so they don’t lose market share. All in all it is an exciting time if you are an IT professional or an organization getting ready to ramp up and upgrade never before has there been more affordable and advanced solutions to put your business online, secure and remotely accessible. We are in a transition period where technology is rapidly changing just 10 years ago we could not have imagined the type of virtualization that we have available today, what will the next 10 years bring? I can’t wait to see it. Source: GoArticles by Author Brent Johnson, who is a senior network engineer and consultant working for IT Expert Consultants based in Washington, DC.